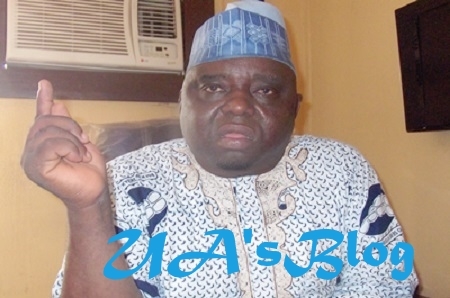 Alhaji Shuaibu Ado Dansudu is the National President, Arewa United Consultative Forum, (AUCF) has said with or without President Muhammadu Buhari tenure continuation by 2019, the northern part of Nigeria will not relinquish power until 2031. Dansudu in an interview with The Daily Sun argued that after 2023, the north will continue to rule Nigeria to make up for the 6 years late Ex-President Umar Musa Yar'Adua tenure completed by former President Goodluck Jonathan. The Arewa leader harped his dictatorial argument on the South and North zoning arrangement His words; "According to the zoning arrangement then, it was not the turn of the South at the time he (Jonathan) attempted to re-contest. And I want to tell you categorically that the Southerners should forget coming to power after eight years, I mean in 2023 when the North would have served out two terms." "Any Southerner dreaming to take over power in 2023 should better wake up. After eight years we will still rule again because the Southerners betrayed the zoning agreement after Obasanjo. Obasanjo ruled for complete eight years, Yar’Adua ruled for two years and Jonathan, rather than allow a northerner to take over, having completed Yar’Adua’s tenure re-contested and ruled for another four years. And he even made the attempt to elongate his tenure by re-contesting again in 2015. So for that reason, the North will rule for additional six or eight years to balance the arrangement. So the South should blame Jonathan."